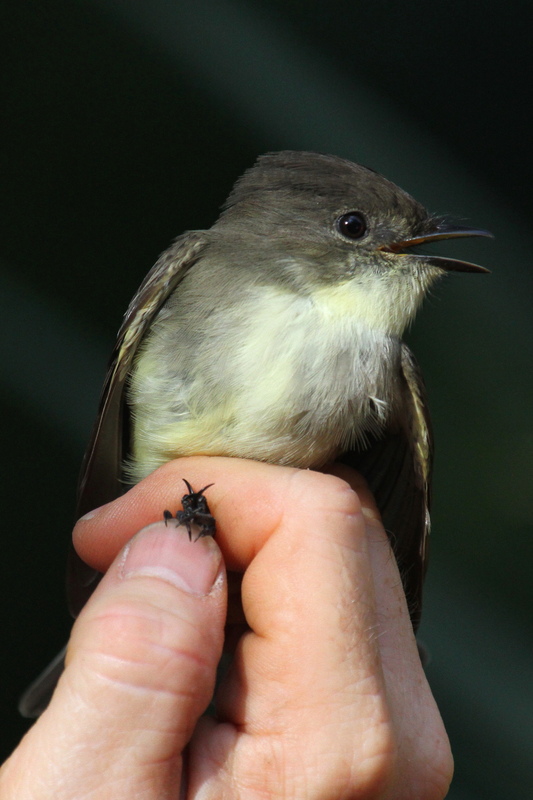 Last Sunday we had a busier day with a total of 23 birds netted (21 new captures and 2 recaptures). Of those, we had 13 Gray Catbirds! 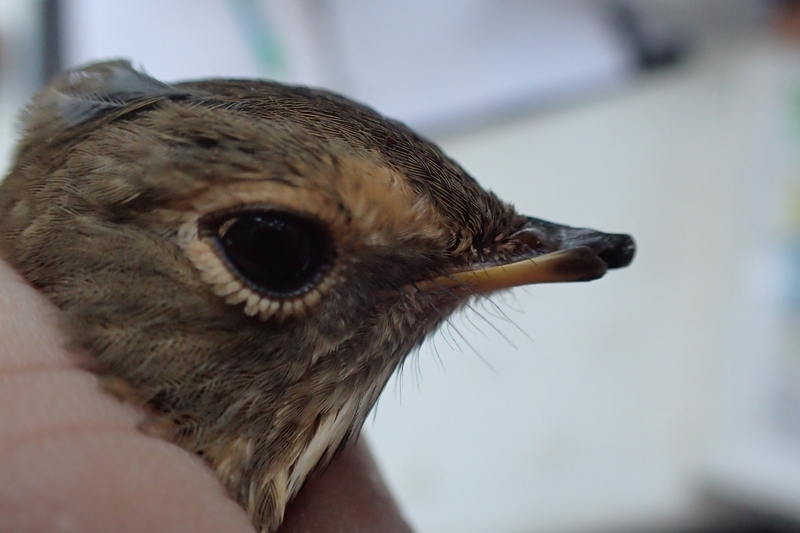 The different things included 2 female Indigo Buntings, a Palm Warbler and a Swainson’s Thrush with a deformed bill. 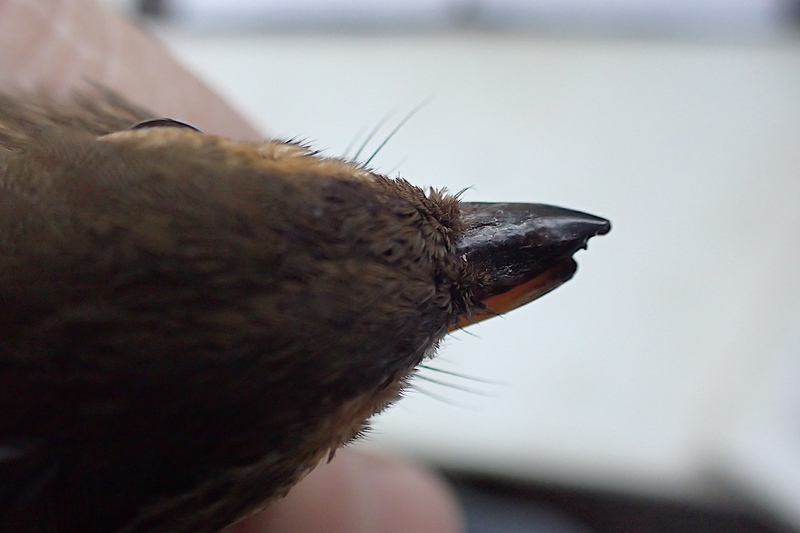 One fun thing about bird banding is that you never know what is going to be in the nets (kind of like Christmas every 30 minutes)! The other unusual thing was what I heard while we were setting up the nets in the dark (about 7 am). Back in the thicker part of the hardwood hammock I heard a bird call that sounded familiar but it was different. It sounded like the Chuck-wills-widow but the call lacked a syllable. It was a Whip-poor-will calling. It only called twice then it went silent. That is the first time I have ever heard one in Hammock Park. We had beautiful weather but it unfortunately led to a very quiet morning in the Hammock. 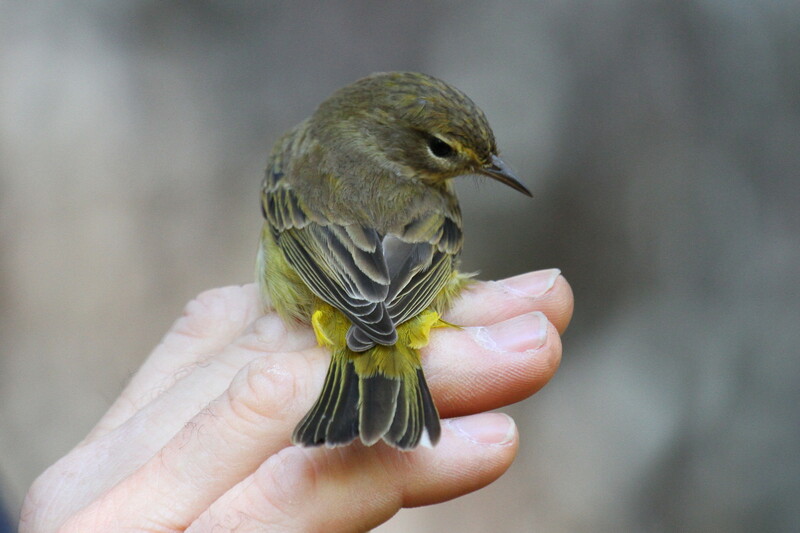 The weather up north is unseasonably warm and many of the migrants are slow in coming southward on their migration. We got all 12 nets up by 7 am and it looked like a promising start to the day. Things quieted down fairly quickly when a light breeze came up by mid morning. We had a group from the “Florida Birding & Nature Festival” come on a field trip to see the banding. Some of them showed up at 7:30 am and were able to see our first net run which was fun for them. The bird highlights included only our third Eastern Phoebe which was hanging out in the open field between nets #6 & #7. They really snap their bills when they are upset which is pretty cool. The other highlight was having two Indigo Buntings to compare fairly soon after each other. First, was a young female and the second was a nice after hatch year male. The male had brilliant blue feathers coming in which made a cool contrast to the warm brown younger feathers. Regular visitors, Doug & Eva, get premier seating!